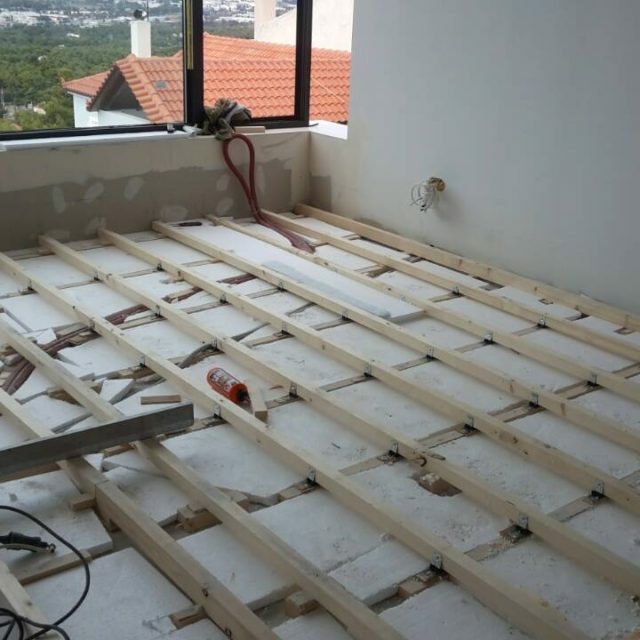 Α new insulation system, the floor pad isolator Vibro-FM, has been developed to reduce the impact noise of wooden floors. 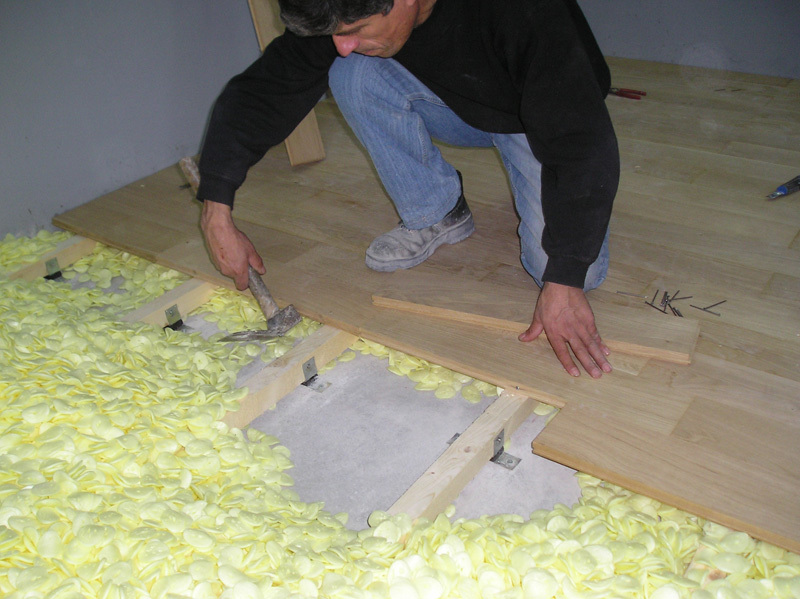 Impact noise refers to sound produced when a short duration impulse, such as a footfall, acts directly on a structure. 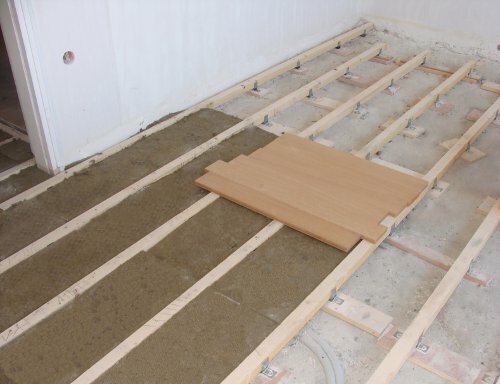 The Vibro-FM pads are useful for the reduction of noise coming from upstairs to downstairs. 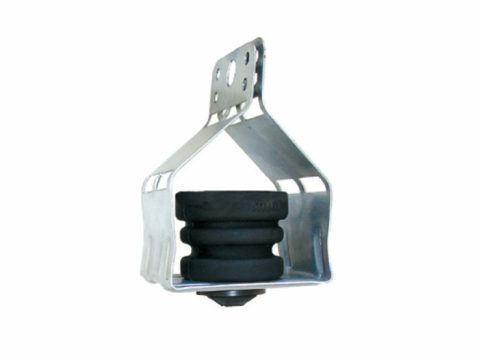 Also, they are useful for improvement of insulation of lightweight partitions. 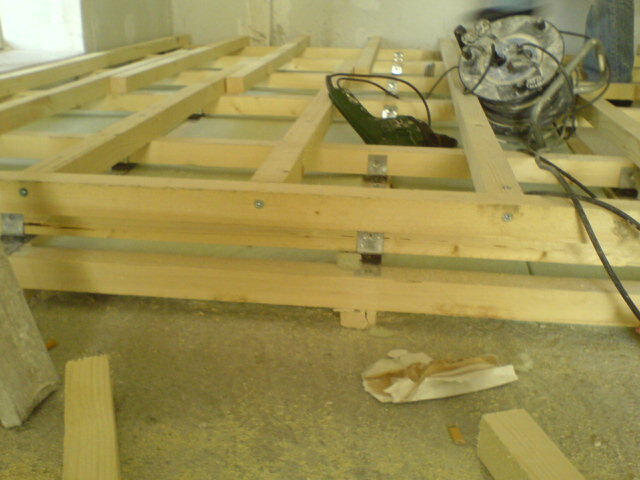 Vibro-FM is produced based on a research in National Τechnical Uniνersity of Αthens. 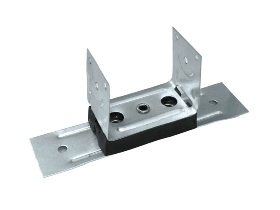 The floor pads consist of metallic and elastic parts which are connected accordingly and as a result, it prevents the creation of acoustic bridges. 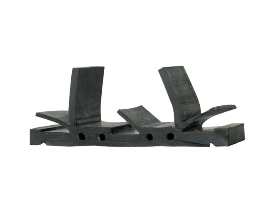 The elastic part consists of a specially designed non-aging material providing maximum sound insulation. 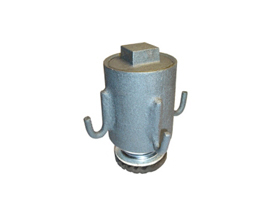 The metallic parts are protected by a special anti-corrosion treatment. 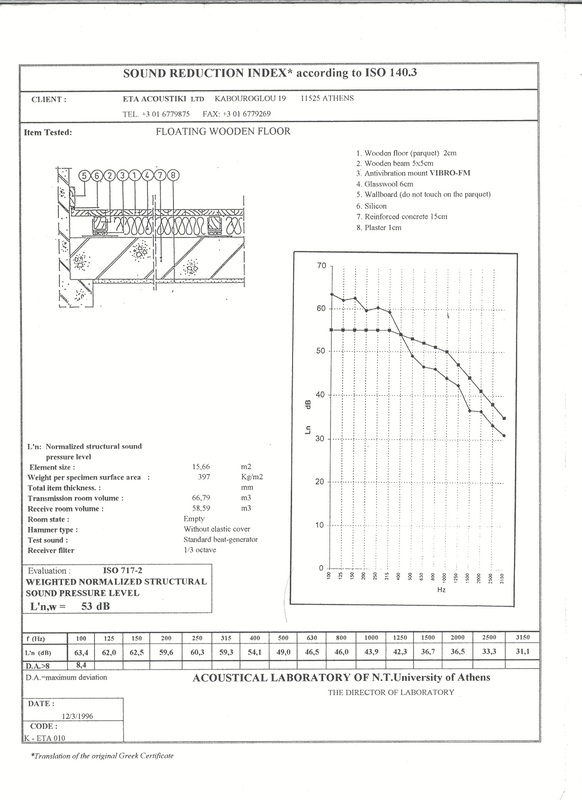 An exceptionally high WEIGHTED ΝΟRΜΑLΙSΕD IMPACT SOUND PRESSURE LEVEL (Ln’w = 53 dB) was measured at the Acoustic Laboratory of National Technical University of Αthens in accordance with International Standard ISO 140-6 and ISO 717-2. 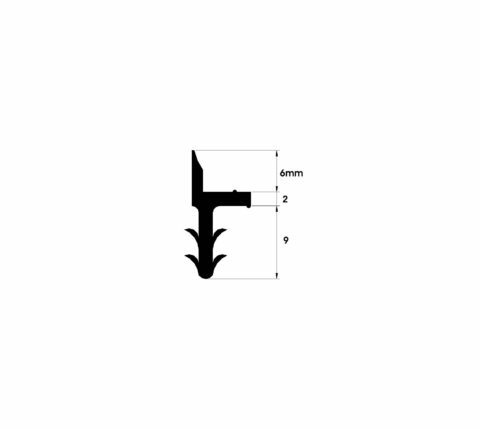 It should be noted that it was measured without the use of the pads Ln’w and the value was 66dB. 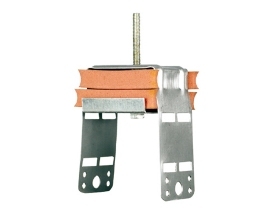 Therefore a remarkable reduction of 13dB can be achieved whilst using the Vibro-FM pads. 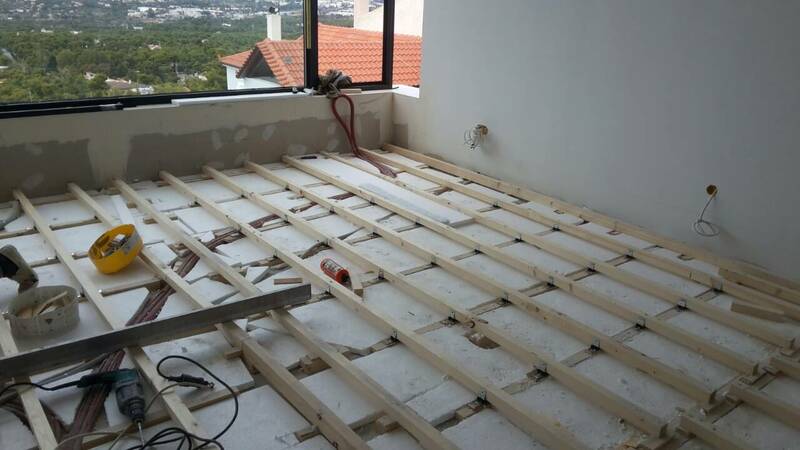 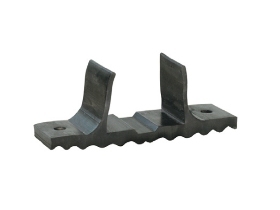 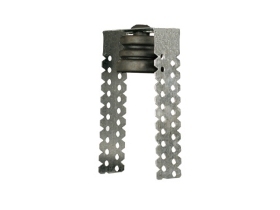 The lower strip of the pad is fixed on the floor or on a secondary wooden batten with inox nail or with an expansion bolt and the primer wooden batten is fixed on the upper strip of the pad with the use of 2 nails or 1 screw on each side. 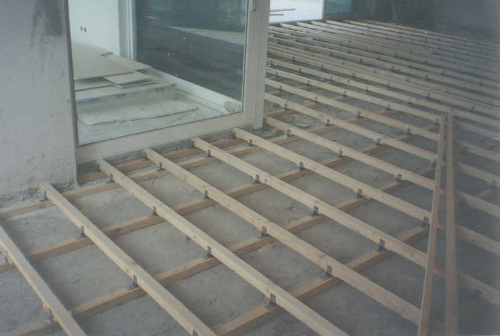 Vibro-FM pads should be placed in rows, at 400 mm distance between them, when the wood battens are spaced at 330 mm. 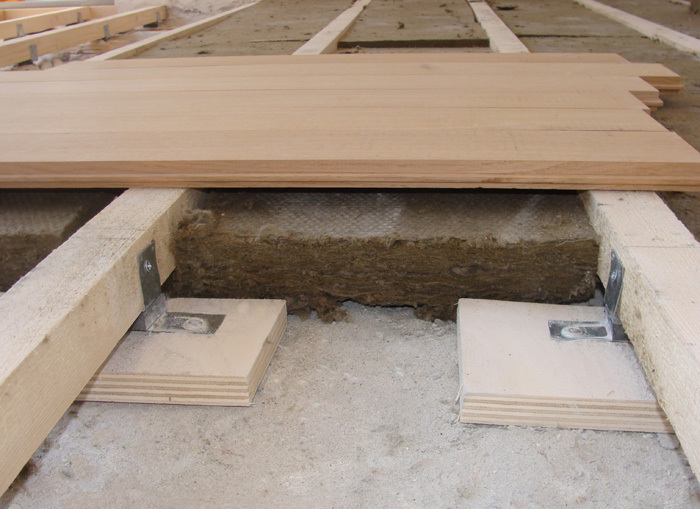 The space between battens needs to be filled with a sound absorbent material (e.g. 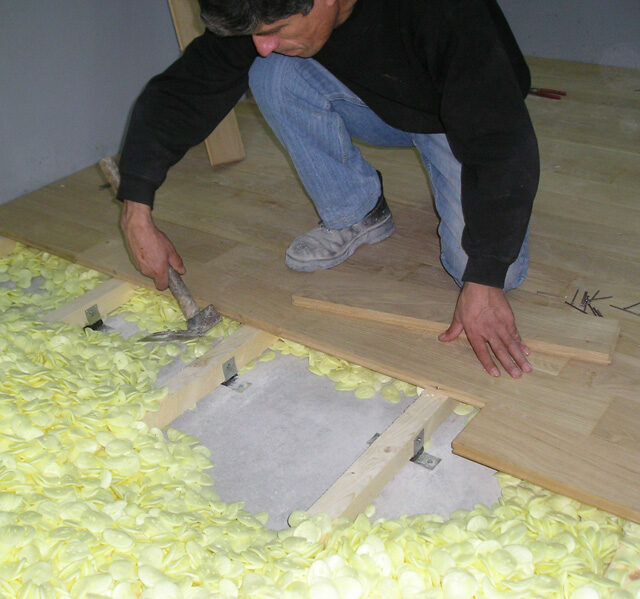 Rockwool). 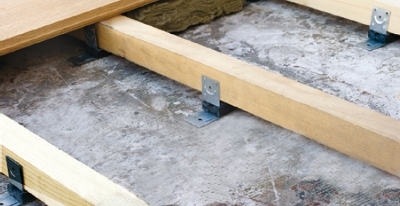 All isolation systems must be free of rigid connections to the building structure. 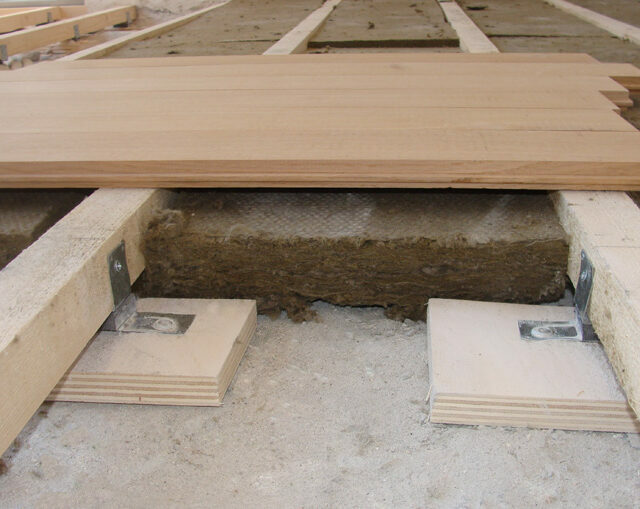 The floor should not lay on the wall and should be placed on a Vibro-band which is a specially designed elastic profile.